Specially designed vacuum cups can handle eggs and other round objects, such as golf balls, and they come in various sizes and materials. 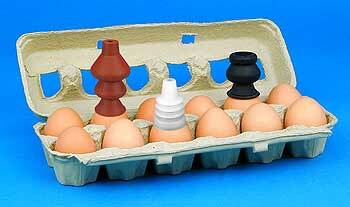 Food-grade white or red silicone, as well as black Nitrile rubber, are all available. The standard materials include Silicone (SIT) and Nitrile (NBR).